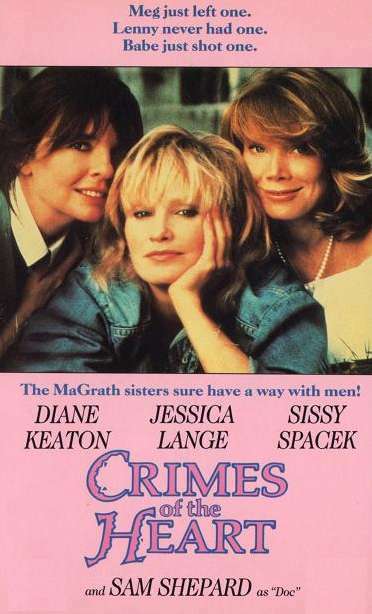 Starring Diane Keaton, Jessica Lange & Sissy Spacek. Diane Keaton, Jessica Lange & Sissy Spacek. Meg, Lenny and Babe: - apart, they ’re walking disaster areas, together, they're quite some performance. Trashing the neighbours, running around with married men. Shooting their husbands, sticking their pretty heads in gas ovens. And along the way discovering quite a bit about themselves, and each other. Yes. there is nothing like a little disgrace to bring the family back together again, and when the MaGrath sisters hit town. you can hear the explosion in the next county! It's great to be home again. All you need is a great sense of humour to survive!